Is there any native function in Mathematica (not ToMatlab) that I can export a function from Mathematica to MATLAB, to Paraview or to any plotting software? Edit: Here why I want to move to MATLAB. I will have a 4D system and use ListPlot3D, SliceListPlot in Mathematica and I need to evaluate the function. Ps: My functions are generally really long trigonometric functions. Whether Mathematica is slow or fast does not really bother You. So the demand is to the HeavysidePi function. You ansatz is about alright. Continue use Export MatLab Matrix. Matlab is fast in importing and you can use the function values in 3D, 4D whatever You like. You friend has Matlab and can use the precompiled function value. I am not deep into MatLab, but the name is short form of Matrix Laboratorium or similar. To be fast in functions the already use precompiled function definitions. So this path is simply following the strategies already used extensively in MatLab. HeavysidePi is available in Mathematica in one, two and three dimensional input and probably can be used in even higher dimensionality. Not the answer you're looking for? Browse other questions tagged functions export matlab or ask your own question. 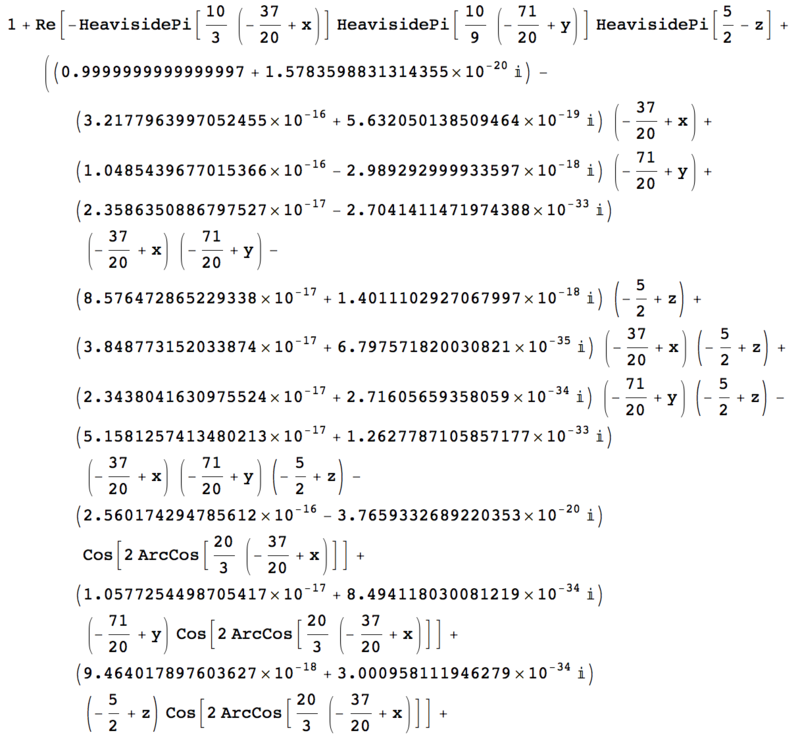 Is it possible to export the equations from Mathematica to MATLAB? How do I create a function to rotate a rectangle about its origin?